At APA, we know that a variety of events is important to our members and we're working hard to create events that get us together, that teach us something, that indulge our passion for gear, that inspire us, that nourish our creativity, and that quench our thirst. Got an event idea? email a suggestion to chair@apanw.org. To be added to our email list to receive notifications of upcoming events, please add your name and contact info here. We're pleased to announce our line-up of events for 2018. Please always double check the website and our Instagram and Twitter feeds for specifics and last minute changes. 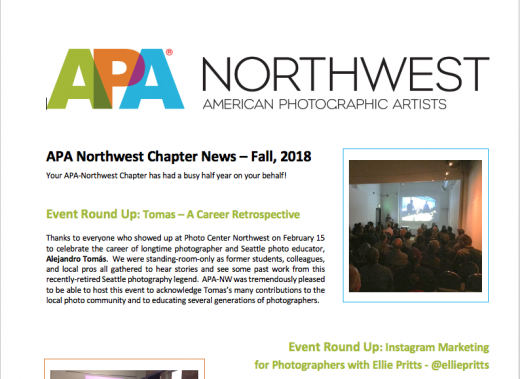 APA-NW Chapter is proud to host longtime photographer and recently retired Seattle educator, Alejandro Tomás, showing work from his eclectic career, answering questions, and telling stories. After a long career shooting for the US Navy, editorial, the White House Press Corps, and commercial clients, Tomás then helped educate a generation of students as head of Seattle Central’s Commercial Photography program. 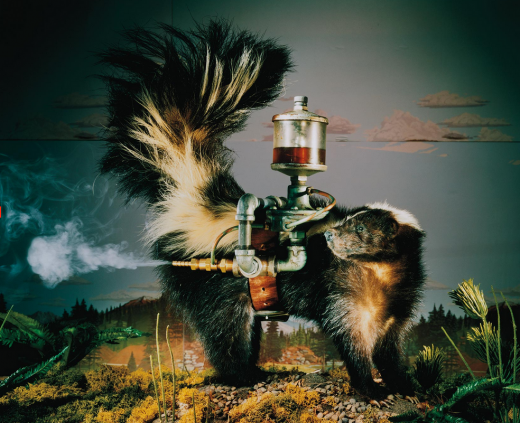 Come mingle with peers, see some great work, and celebrate the career of a Seattle photographic giant. This event is FREE and open to all. Please join us for a free reception at 6:30, with the program to follow. May 2, 2018 & May 15, 2018 - Flying By The Seat of Your Pants. Unfortunately, this 2-part event scheduled for May, 2018 was postponed. We hope to reschedule one or more of these at a later time, please check back for details. September 25, 2018 - Instagram Marketing for Photographers, Ellie Pritts. Ellie Pritts started Apple's Instagram account. She knows more about Instagarm than you do. A lot more. Explore how and why Instagram has become indispensable for marketing yourself as a photographer in our seminar with photographer Ellie Pritts. She'll be discussing the basics of a successful Instagram presence and how to grow your audience organically. Ellie is an acclaimed photographer and emerging director who has worked with companies like Pitchfork, VANS, Canon and Apple. Besides being hired to launch Apple's Instagram account @apple in 2017, Ellie was named one of the top photographers to follow on Instagram by TIME. Come listen and learn.